I have been involved with this project as an advisor for the past three years. It’s formal title is Q-COLLECTION COMIC BOOK PRESERVATION PROJECT and is an initiative to preserve a collection of comics. I like to refer to it as Q, the “Q” standing for the city of Quincy, Massachusetts. The city’s shield was presented to the project’s founder Dr. John Offerman Sindall for use on the project. Sindall, a member of Mensa, has collected around 200 key American comic books from the period 1930s-1960s. The list of comics in the collection is here. This was an era of printing comics on low grade paper that will eventually crumble into powder at a mere page turn. The Q project is a strategy to prevent this by cutting up the comics, coating them with Mylar and mounting them in wooden binders that will provide an estimated life of 10,000 years. Hearing this part of the process, that the comics will have to be destroyed in order to be saved, is disturbing for some collectors but librarians understand. It means the comics can be read. This collection is not about unopened first issues in sealed plastic bags. 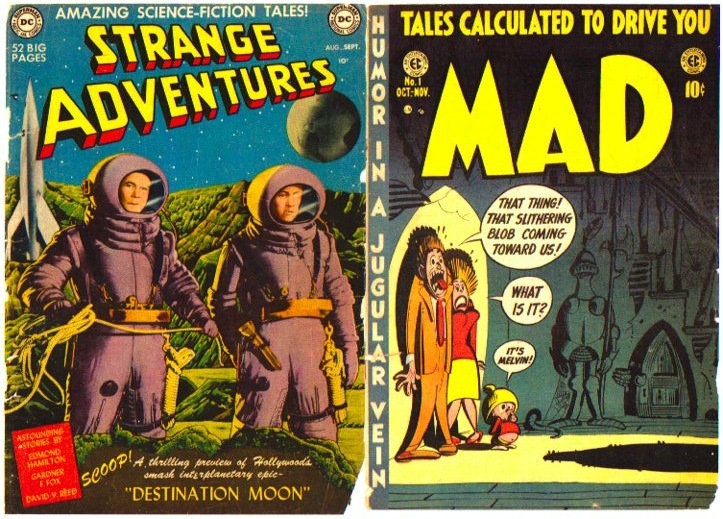 Two of the comics in the collection, both No.1’s, Strange Adventures (1950) and MAD (1952). 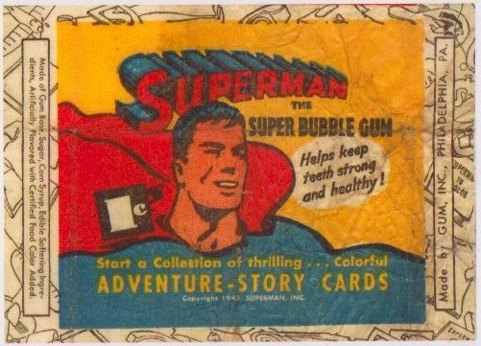 In addition to the comics the collection contains associated artifacts such as trading cards, bubble gum wrappers, photographs, ads, membership cards etc. These too, will be subject to the preservation process. Sindall has put together a wide-ranging international advisory committee for the project. Here is my statement of support: In a world in which comic books have been treated for far too long as consumables and ephemera the Q-Collection Comic Book Preservation Project represents a significant plan to preserve key items of these as popular culture artifacts. This project also provides physical protection against the transitory status of comic books by means of coating, wrapping and encasement in protective materials that will ensure defense against their decay. The selection and acquisition of these rare comic books that have become classics of popular culture, their preservation treatment, deposit and safekeeping and subsequent availability for reading and research by future generations has my support and deserves backing by business benefactors, patrons of popular culture and by an appropriate public collection institution. The collection is destined for the Library of Congress. UPDATE: FEBRUARY 2016: Article about the project’s founder published: Comic Book Heroics: Mensan Leads Efforts To Preserve Aged Comics by Michael Hill, Ph.D., The Mensa Bulletin, February 2016, No. 592. UPDATE: DECEMBER 2016: The Q-Collection Comic Book Preservation Project’s 2017 promotional calendar-strictly limited edition gifted to committee members. Thank you John! This entry was posted in Comics and tagged American comics, comic books, comics, comics art, comics artifacts, comics collection, comics preservation, John Offerman Sindall, Michael Hill, Q-Collection by Doctor Comics. Bookmark the permalink. Thanks for your support Lyn!